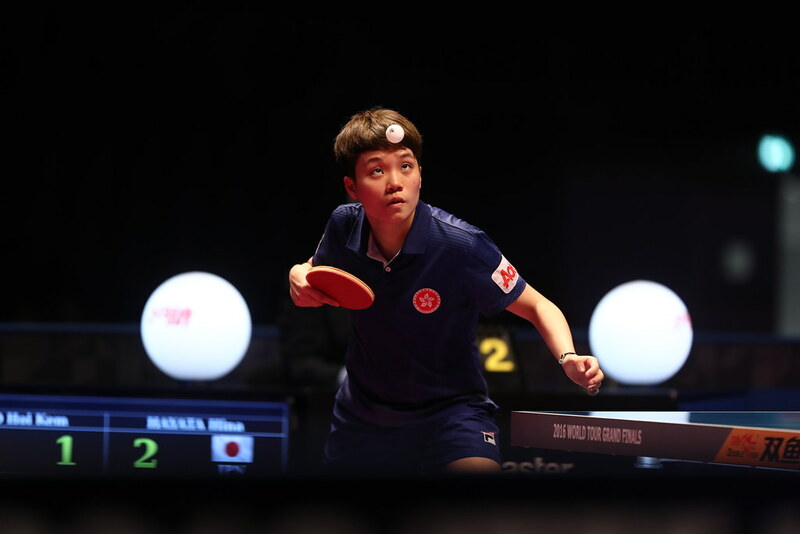 Crucial to England’s success in the Boys’ Team event earlier in the week; on the evening of Sunday 4th June, Luke Savill won the Boys’ Singles title at the 2017 Slovak Junior Open in Senec, to collect the first ITTF World Junior Circuit title of his career. Furthermore, the win was somewhat unexpected; the 18 year old commenced proceedings as the no.6 seed. At the final hurdle, he overcame Germany’s Kay Stumper, the no.5 seed, to arrest the title (16-14, 11-2, 11-9, 11-8) but it was two rounds earlier at the quarter-final stage that he recorded what was to prove his most crucial win. In the round of the last eight, he overcame Tobias Hippler, the top seed and like Kay Stumper from Germany, in a full distance seven games contest (9-11, 9-11, 13-11, 11-7, 11-9, 11-13, 11-7). Success against the odds at the quarter-final stage, it was the same in the penultimate round; he accounted for Hungary’s Csaba Andras, the no.4 seed, in a rather more comfortable fashion, winning in four straight games (11-8, 11-7, 11-7, 11-7). In the opposite half of the draw, in the latter stages, Kay Stumper ended the hopes of the host nation; in the quarter-final round he beat Markus Tonkovic, the no.15 seed (12-14, 11-6, 11-4, 11-7, 11-3), prior to overcoming Tibor Spanik, the no.8 seed (11-9, 10-12, 11-8, 8-11, 12-10, 8-11, 11-4). Notably one round earlier, Tibor Spanik had beaten England’s Tom Jarvis, the no.2 seed (9-11, 11-6, 11-9, 12-10, 11-6). A surprise exit for Tom Jarvis; earlier in the day there had been a surprise departure for Hungary’s Istvan Molnar, the no.3 seed, he was beaten by Argentina’s Matias de Vincenzo in the opening round (3-11, 5-11, 11-8, 6-11, 11-9, 11-9, 11-6). Alas for the young man from Buenos Aires, there was no further progress; he was beaten in the nest round by Markus Tonkovic (11-5, 11-4, 11-5, 11-8). Disappointment for Istvan Molnar in the Boys’ Singles event but in the Boys’ Doubles competition there was success. Partnering Patrick Juhasz the duo, the no.3 seeds, accounted for Argentina’s Martin Bentancor and Santiago Lorenzo, the no.13 seeds (12-10, 11-7, 11-7) to secure the top prize. At the semi-final stage, Patrick Juhasz and Isvtan Molnar had beaten the Slovak Republic’s Markus Tonkovic and Jakub Zelinka, the no.6 seeds (11-3, 11-5, 11-7); Martin Bentancor and Santiago Lorenzo had caused a major upset by overcoming Csaba Andras and Oliver Both, the no.4 seeds and like Patrick Juhasz and Isvtan Molnar, from Hungary (9-11, 11-9, 11-8, 14-12).